The Dead Sea Scrolls, Angels, and the Ten Commandments. We hopped across the street to the California Science Center from the Campus of USC, where I was talking with writers and publishers at the LA Times Festival of Books. The Scrolls were written mostly on parchment, with some written on papyrus. They’re incredibly important documents. They are central to the belief system for Christians, Muslims, and Jews. Wow who’d a thunk it… that they had so much in common? The story goes in 1947 a Bedouin shepherd, tossed a rock into a cave and heard a pot shatter, which led to the recovery of more than 900 scrolls. They date between 150 BCE and 70 CE. 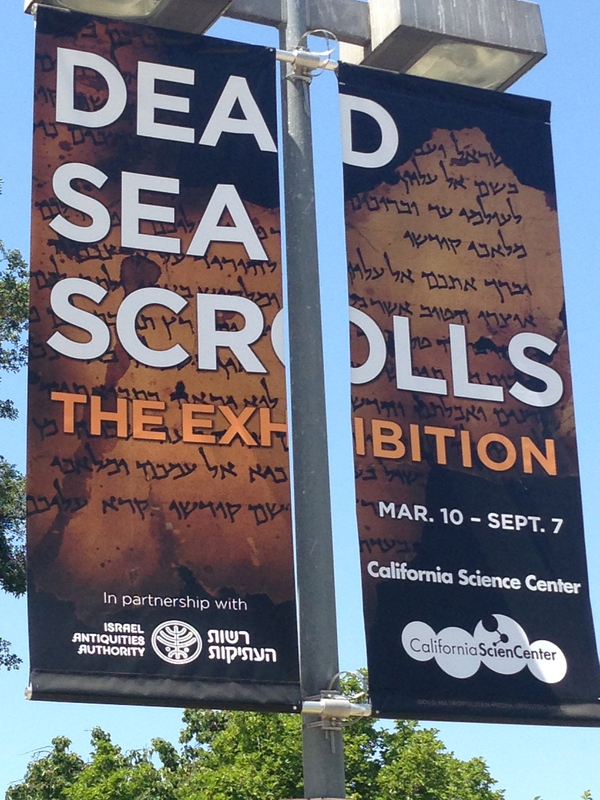 The traveling “Dead Sea Scrolls” exhibit featured more than 600 ancient artifacts, including selections from 10 scrolls, housed in low light and dry conditions similar to the caves near Khirbet Qumran, where they were preserved for 2,000 years. The Dead Sea is the lowest point on Earth (1,400 feet below sea level). I had some favorites, first was the song of Sabbath Sacrifice. These 13 songs were for the first 13 weeks of the Sabbath each year. Yeah now we are talking, these songs were songs of angelic praise, angelic priesthood, and heavenly temple, which gave the community’s sense of engaging in a common worship with angels. The Scroll known as the Angelic scroll, is apparently loaded with Jewish mystical imagery, and descriptions of angels. It is potentially more important than any of the other scrolls so far examined, and is thought to be around 2000 years old. 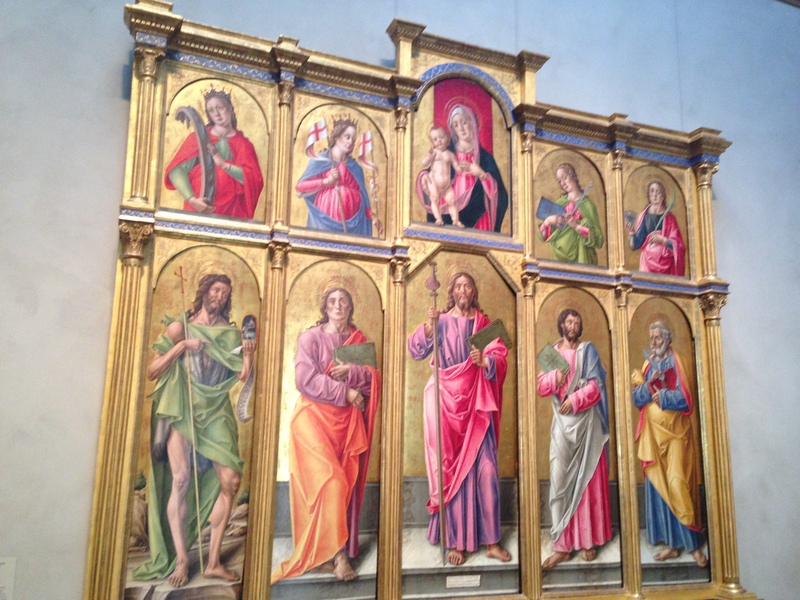 The text describes a ‘tour of the heavens’ undertaken by its author in the company of an angel named ‘Pnimea‘. 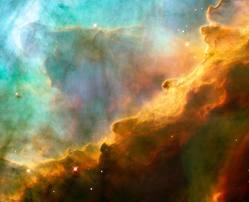 The author of the Angel Scroll is taken on a journey where he is shown the “secrets of the universe.” He is taught to contemplate signs in the sun and the stars and through them forecast events. To notice the signs in the raging waves of the sea, and in the clouds of the heavens, and how to use medical plants and stones to cure disease and predict the future. This was amazingly similar to what I was shown when I had my review. It was almost eerie to read such a straightforward guideline so close to how I feel when I’m walking in nature, along the beaches of Carlsbad, where the majestic energy and strength of the Ocean can be overwhelming. Well needless to say WOW…when I read a description like this and knowing it is nearly 2000 years old, I feel its descriptions chill me to the core, because it is so similar to what I saw and knew during my Taste of Eternity – it makes me feel normal. No I’m not crazy, I did have a normal experience with and Angel. 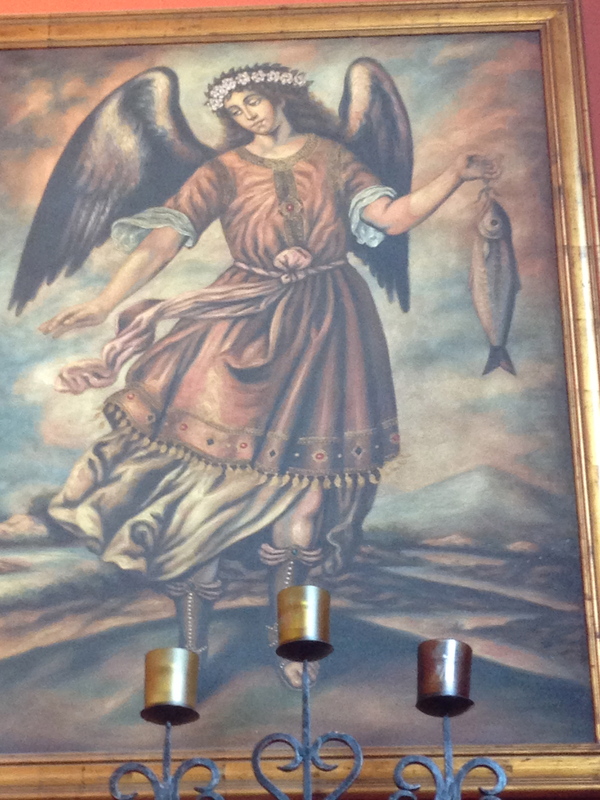 My Guardian Angel and so have others, even way back than 2000 years ago. Writing about hard events and life challenges can be FUN-Part 2. 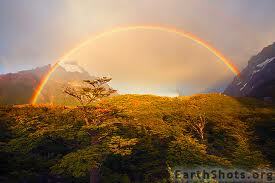 A Story of Change can be fun; we decide how to accept and view the change. I choose to move forward with an open heart and eyes. I had my eyes wide open at The Los Angeles Times Festival of Books. This place offers a different time, and a unique reality for writers; think about it, they are coming together with their own kind! A massive group of open and active minds bunched together, all waiting for the chance to share their most prized possession – words. It was interesting to me, this new way of socializing among writers. A Taste of Eternity is, after all, my first book. People just plop right down next to a total stranger and ask things like, “What are you working on?” “What seminar are you going to?” “What is your view on (name the subject)?” Amazing! I’m new to this. It’s far more than the usual blanket socializing of the weather, a sport team, or clothing. Because of that, I watched more from a spectator’s viewpoint. Have you ever watched dogs at a dog park, and seen how they run across the grass and head up to a dog they’ve never seen before. Their tails wag in the air, they crouch down on their front paws, stick their back haunches in the air, and start swaying their head from right to left, teasing the other dog. It’s like they’re saying, “C’mon. Let’s play. I like you. What ya got?” Then, a few minutes later, they are off sniffing flowers and flipping over in the grass, rubbing their backsides, squirming back and forth and looking as if they are making snow angels in the grass. This describes the unabashed glee and friendliness that the folks at the Festival share with each other. I have been in settings like this, together with my own kind before. I am a former tennis player, basketball, and volleyball player. I am also a female; hence, shopping is in my nature. However, random tennis players don’t walk up and ask me which backhand I’m working on, and ladies at Nordstrom’s semi-annual sale don’t ask what style I’m developing. They actually want strangers out of the store, and certainly out of the line. So I’m sure you understand how new these friendly and honestly interested greetings were to me. We did a walkthrough to assess the books we wanted to buy. The idea? To trim the selection, knowing whatever we wanted, we had to carry. For the rest of the day. Then of course, we needed to make the vital connection (via the cell phone, what would we do without those?) with my literary agent, Dana Newman. Determining the location among a crowd of 60,000 to 75,000 people is critical. Tommy the Trojan statue it is! He sure stuck out, and we had no trouble finding her. During a quick chat, she assured me she would be pitching my book at the festival. No rest from work for her! I found the Los Angeles Times stage, all set up for a reading with its shade tarp. On this hot day, its shade was inviting. I noticed with a pleasant surprise that the guest speaker was non other than Pretty In Pink, The Breakfast Club, and Sixteen Candles star Molly Ringwald. Molly has written several books, but this time, she read from her latest, When it Happens to You. At first, I just noticed how great she looks, clean, pure, sweet, not Hollywood at all. I know she’s an actress and I expect her to be able to read the lines ok, but then, she starts to exhibit her story. She shares it through her voice projection; I’m completely engrossed. When she finishes her one-chapter teaser, I’m like a little girl at the library story time, never wanting the reading to end. Her reading felt like a movie trailer… a tease of what’s to come. My goal is for my book to be the same, to engross every reader. After Molly’s reading, I found a spot to kick back. A guy plopped down next to me, and began to eat his lunch. Within a few minutes, he asked more questions about what I was writing and what I thought than most of my friends have asked in over a year. He told me about his years as a Los Angeles Times reporter, the books he’s edited, and his current ghostwriting projects. I told him he reminded me of my honey Bob, and that they should meet sometime; I think they would really hit it off. Then I headed off to the seminar on memoir. I took in the panel of memoirists, four women who have all published their memoirs. I glean a few great tidbits from their information. The room was packed, almost all the 300 or so seats full. I noticed my newfound friend sitting a few rows in front of me. Afterwards, I saw Bob waiting for me outside the conference hall. I introduced him to my new friend. Just like those dogs at a doggy park, they were pleased as punch to find someone else who spoke their lingo, who totally got it, who had so many similar experiences writing and editing. Finally, the day ended, with my mind in sensory overload. I felt so happy, my belly deliciously full like I’d just eaten the perfect meal. I was satiated, filled by The Festival. Writing about hard events and life challenges can be FUN. A Story of Change can be fun. Writing about your past trials in life can certainly be taxing. It’s often difficult to re-live the physical pain I had to pass through and overcome. As I write more of my memoir, I have to view my writing as if I have no ego, or rather to say that ego is a part of doing this. That’s OK. I have to face my story, of a life that did not turn out to be the perfect dream I wanted it to be. It sometimes saddens me, but yet with a high degree of certainty I accept, that I will laugh, I will cry, I will love, and I will unreservedly share all that I am, the good and the bad. Writing about these life challenges can also be FUN. Life is whatever perspective I choose. This past week was one of those FUN kid-like moments. 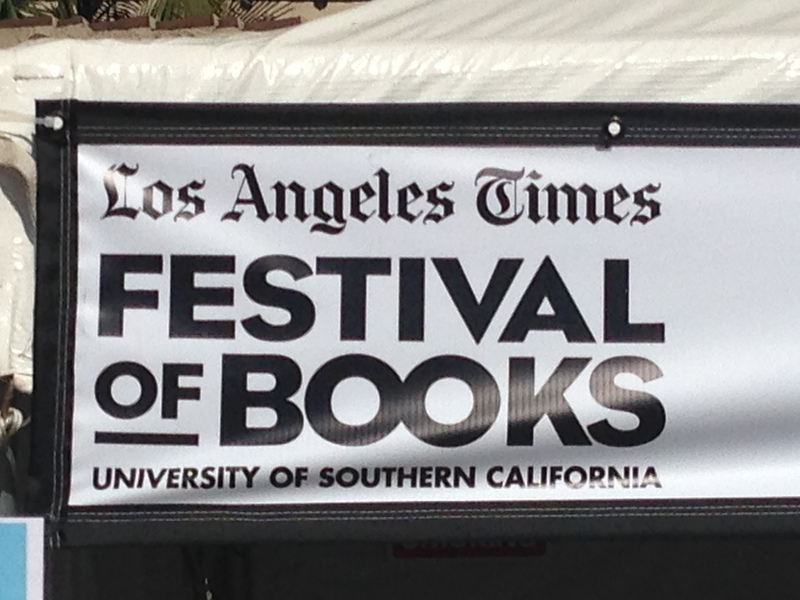 We went to the Los Angeles Times Festival Of Books. This two-day event brings in 150,000 people. The Festival is a true wonderland for writers, editors, agents, publishers and, most of all, readers who enjoy a good story. I was completely amazed with all the booths from companies, groups, and of course individual writers selling their books. 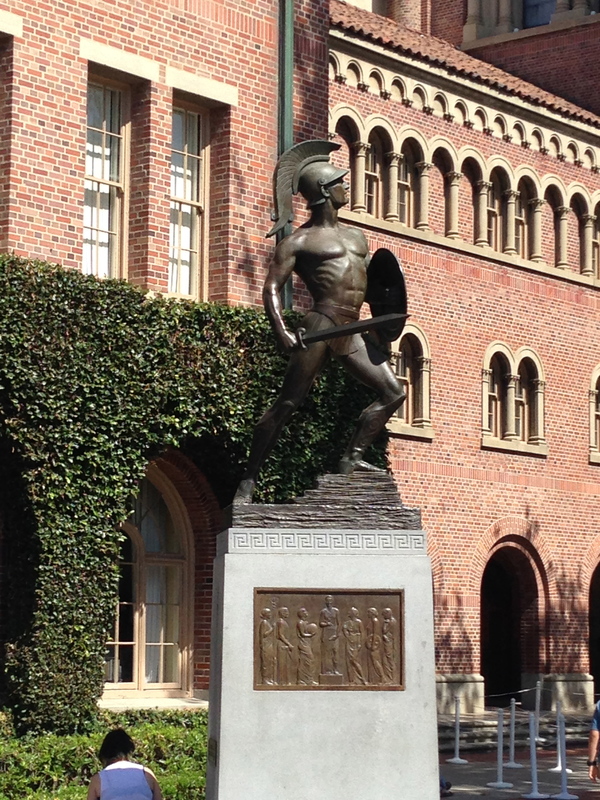 The day began by entering the massive property of the USC campus. We arrived early, anticipating the parking hassle that comes with a huge crowd. Thankfully we got there early enough, hah… more than an hour before it began. We drove right into what we thought was an optimum close-up parking space. Ooops – it was the LA Coliseum parking lot – not the closest. Luckily, it wasn’t too far away. With all this spare time, and the California sunshine streaming down, we set off to investigate and explore the grounds. The place is full of museums (that weren’t open yet), architecturally wonderful buildings, and lovely manicured grounds. We walked around a corner and found ourselves at The Rose Garden – what a garden it is! The central focus was a fantastic spouting fountain shooting straight into the air. This garden is organized; each select variety of rose was noted, many of them towering over my six-foot height. These puppies have been around a long time. The rows of differently colored roses are grafted out from this central point in what I’d estimate to be about two acres of land. Buildings that have a palace look to their architecture flank each end of the garden. Remember, USC is the breeding ground of many of the film industry’s most noted art directors, visual effects artists, directors, and stars. No need to fly off to foreign lands to get that effect; we are in the land of make believe. We wandered about as though within our own secret garden, no crowd yet. I breathed in and out, enjoying the freshness of the day. One of the stunning buildings flanking this garden is The Library, a place where my dad spent many hours in the mid-1970s. I’m reminded that starting life over again, starting from scratch runs in the family. My Dad went back to college on this campus when he was about the same age I am today. He came to USC to get his degree in Librarian Science. As I look at this beautiful building, I can visualize him happily entering its hallowed hallways, happy as a kid in a candy store. I giggle to myself, how proud my Pop’s would be of me, knowing I’m here and working on writing a book, my book. Books to him were the key to life itself. They did every thing you wanted, and could travel the world without leaving the comfort of your own special chair. His mind traveled many lands, experienced many adventures, and embraced many romances via the white pages pinned between two leather bound walls. It strikes me… thinking of my dad…how things change and we change with them. It’s up to use to decide how we choose to accept the change, either with an open heart and eyes, or to close ourselves to it.